Downstairs includes a spacious recreation room with table tennis, air hockey and basketball. 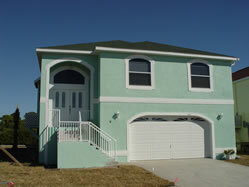 Upstairs are 4 large bedrooms and 2 full baths. Master bedroom has four poster bed and balcony overlooking the full size heated pool complete with all patio furniture and BBQ grill. Perfect for morning coffee. Bedroom Two has queen bed and bedrooms Three and Four each have two twin beds. Large kitchen, dining area and breakfast nook provide great views of the Inter coastal waterway. Home is complete with washer/dryer entertainment center with TV/VCR/videos and games, baby stoller. The private beach is less than 2 miles away and is included with your stay. Sunworshippers can enjoy the white sand and the tranquil waters of the beautiful Gulf of Mexico. All furnishings are luxurious and brand new. Whether you want to stay indoors and watch cable TV/video or listen to some music on the stereo system, or lounge around by the pool, the house is the ideal base for your vacation. 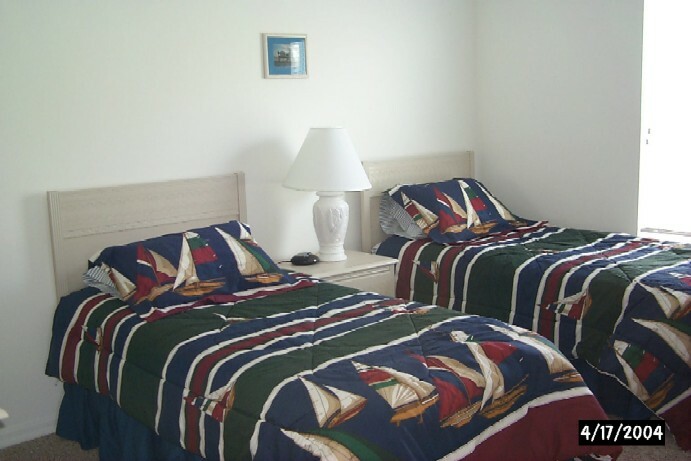 All rooms are fully air conditioned, offering comfort while you relax on the coast. Poolside you will find all of the sunbathing furniture that you need, and an additional dining area for that great outdoor eating. We do of course, provide a gas barbecue too. • Cancellation charges: More than 8 weeks before arrival: deposit only /30 days or less: Full amount.